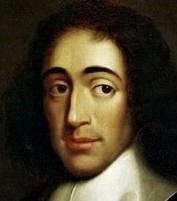 Here one question eclipses all others, or serves to focus them: What would it be to have an adequate idea of Spinoza? II. 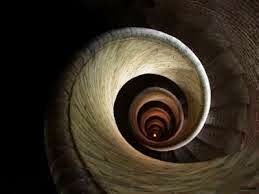 Philosophy is the very vertigo of immanence. That formula complements one of Deleuze’s: “Immanence is the very vertigo of philosophy.”  Immanence is not philosophy, nor philosophy immanence. But there is in the passage from one to the other a modification of sense that is not without significance. It is perhaps for that reason that the two formulas are best read together. At the point of vertigo. Immanence is the very vertigo of philosophy because immanence is the very paradigm of the enigma. To explicate is to implicate, for every implication follows from an explication, and every explication turns on how what it explicates is implicated in it. Philosophy stands to immanence as explication stands to implication. Philosophy: the vertigo of immanence in its expression. 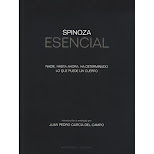 “Spinoza” is the name given that anonymity by those who undergo its movement sub specie aeternitatis. 1. Henri Bergson, quoted in Michael Hardt, Gilles Deleuze: An Apprenticeship in Philosophy (Minneapolis: University of Minnesota Press, 1993), 130n3. 2. G.W.F. Hegel, quoted in Pierre Macherey, “Hegel Reads Spinoza,” Environment and Planning D: Society and Space 29 (2011), 223 [223-236]. 3. Gilles Deleuze and Claire Parnet, Dialogues II, trans. Hugh Tomlinson and Barbara Habberjam (New York: Continuum, 2006), 12. 4. Gilles Deleuze and Felix Guattari, What is Philosophy?, trans. Hugh Tomlinson and Graham Burchell (New York: Columbia University Press, 1994), 60. 5. Gilles Deleuze, Expressionism in Philosophy: Spinoza, trans. Martin Joughin (New York: Zone Books, 1992), 180. 6. Daniel Heller-Roazen, Dark Tongues: The Art of Rogues and Riddlers (New York: Zone Books, 2013), 77. 7. Knox Peden, Spinoza Contra Phenomenology: French Rationalism from Cavaillès to Deleuze (Stanford: Stanford University Press, 2014), 210. Emphasis Peden’s. 8. Peden, Spinoza Contra Phenomenology, 211. Emphasis author’s. 9. Pierre Macherey, Hegel or Spinoza, trans. Susan M. Ruddick (Minneapolis: University of Minnesota Press, 2011), 3-4. Cómo podré recibir tus updates? Interesante sería que tuvieras 'share buttons', por ejemplo AddToAny.